21st NSO exam will be held on 01 Nov 2018, 15 Nov 2018 and 27 Nov 2018 at participating schools for the academic year 2018-19. 21st NSO 2018 – 2019 Syllabus is given below. Total Questions : 35 Time : 1 hr. Section – 1 : Spatial Understanding, Grouping, Measuring Units, Analogy, Geometrical Shapes, Patterns, Odd One Out, Ranking Test. Section – 2 : Living and Non-living things, Plants, Animals, Human Beings and Their Needs, Good Habits and Safety Rules, Air and Water, Weather and the Sky. Section – 3 : Higher Order Thinking Questions – Syllabus as per Section – 2. Section – 1 : Patterns, Measuring Units, Odd One Out, Series Completion, Geometrical Shapes, Analogy, Ranking Test, Grouping of Figures, Coding-Decoding, Embedded Figures.. Section – 2 : Plants, Animals, Human Body, Food, Housing and Clothing, Family and Festivals, Occupations, Good Habits and Safety Rules, Transport and Communication, Air, Water and Rocks, Earth and Universe. Section – 1 : Patterns, Analogy and Classification, Coding-Decoding, Mirror Images, Embedded Figures, Alphabet Test, Ranking Test, Grouping of Figures, Figure Matrix, Geometrical Shapes, Days and Dates & Possible Combinations. Section – 2 : Plants and Animals, Birds, Food, Housing and Clothing, Transport and Communication, Human Body, Earth and Universe, Matter and Materials, Light, Sound and Force, Our Environment. Section – 1 : Patterns, Alphabet Test, Coding-Decoding, Mirror Images, Embedded Figures, Geometrical Shapes and Solids, Ranking Test, Direction Sense Test, Days and Dates & Possible Combinations, Analogy and Classification. Section – 2 : Plants, Animals, Food and Digestion, Clothing, Matter and Materials, Force, Work and Energy, Our Environment, Earth and Universe. Total Questions : 50 Time : 1 hr. Section – 1 : Patterns, Analogy and Classification, Coding-Decoding, Geometrical Shapes, Mirror Images, Water Images, Embedded Figures, Direction Sense Test, Ranking Test, Alphabet Test and Logical Sequence of Words, Puzzle Test. Section – 2 : Animals, Human Body and Health, Plants, Natural Resources, Pollution and Calamities, Earth and Universe, Matter, Force, Work and Energy. Section – 2 : Motion and Measurement of Distances, Light, Shadows and Reflections, Electricity and Circuits, Fun with Magnets, Our Environment, Sorting and Separation of Materials, Changes Around Us, Living Organisms and Their Surroundings, Food and its Components, Fibre to Fabric. Section – 3 :Higher Order Thinking Questions – Syllabus as per Section – 2. Section – 2 :Heat, Motion and Time, Electric Current and its Effects, Winds, Storms and Cyclones, Light, Acids, Bases and Salts, Physical and Chemical Changes, Weather, Climate and Adaptations of Animals to Climate, Fibre to Fabric, Nutrition in Plants and Animals, Respiration in Organisms, Transportation in Plants and Animals, Reproduction in Plants, Natural Resources and Their Conservation. 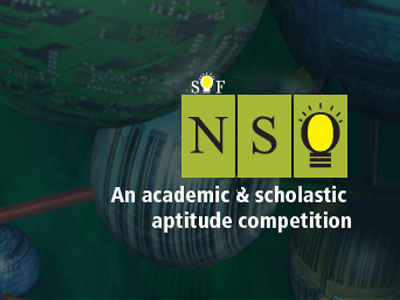 Section – 2 :Crop Production and Management, Microorganisms, Synthetic Fibres and Plastics, Metals and Non-metals, Coal and Petroleum, Combustion and Flame, Conservation of Plants and Animals, Cell, Reproduction and Endocrine System, Force and Pressure, Friction, Sound, Chemical Effects of Electric Current, Some Natural Phenomena, Light, Stars and the Solar System, Pollution of Air and Water. Section – 2 :Motion, Force and Laws of Motion, Gravitation, Work and Energy, Sound, Matter in Our Surroundings, Is Matter Around Us Pure, Atoms and Molecules, Structure of Atom, Cell – The Fundamental Unit of Life, Tissues, Diversity in Living Organisms, Why Do We Fall III, Natural Resources, Improvement in Food Resources. 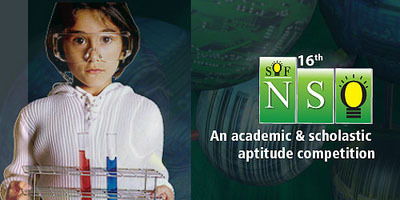 Section – 2 : Chemical Reactions and Equations, Acids, Bases and Salts, Metals and Non-metals, Carbon and its Compounds, Periodic Classification of Elements, Life Processes, Reproduction in Organisms, Heredity and Evolution, Light-Reflection and Refraction, Human Eye and Colourful World, Electricity, Magnetic Effects of Electric Current, Sources of Energy, Our Environment and its Management. Section – 1 : Physics : Units & Measurements, Mechanics, Properties of Matter, Heat & Thermodynamics, Oscillations, Waves. Chemistry : Some Basic Concepts of Chemistry, Structure of Atom, Classification of Elements and Periodicity in Properties, Chemical Bonding and Molecular Structure, States of Matter, Thermodynamics, Equilibrium, Redox Reactions, Hydrogen, The s-Block Elements, The p-Block Elements (Groups 13 and 14), Organic Chemistry – Some Basic Principles and Techniques, Hydrocarbons, Environmental Chemistry. Section – 2 : Higher Order Thinking Questions – Syllabus as per Section – 1. Section – 3 : Sets, Relations and Functions, Principle of Mathematical Induction, Logarithms, Complex Numbers & Quadratic Equations, Linear Inequations, Sequences and Series, Trigonometry, Straight Lines, Conic Sections, Permutations and Combinations, Binomial Theorem, Statistics, Mathematical Reasoning, Limits and Derivatives, Probability, Introduction to 3-D Geometry. Section – 3 : Diversity in the Living World, Structural Organisation in Plants and Animals, Cell : Structure and Functions, Plant Physiology, Human Physiology. Section – 1 : Physics : Electricity and Magnetism, Electromagnetic Induction, AC, Electromagnetic waves, Optics, Modern Physics, Semiconductor Electronics, Communication Systems. Chemistry : Solid State, Solutions, Electrochemistry, Chemical Kinetics, Surface Chemistry, General Principles and Processes of Isolation of Elements, p-Block Elements (Group 15 to 18), d- & f-Block Elements, Coordination Compounds, Haloalkanes and Haloarenes, Alcohols, Phenols and Ethers, Aldehydes, Ketones and Carboxylic Acids, Amines, Biomolecules, Polymers, Chemistry in Everyday Life. Section – 3 : Relations and Functions, Inverse Trigonometric Functions, Matrices and Determinants, Continuity and Differentiability, Application of Derivatives, Integrals, Application of Integrals, Differential Equations, Vector Algebra, Three Dimensional Geometry, Probability, Linear Programming. Section – 3 : Reproduction, Genetics and Evolution, Biology in Human Welfare, Biotechnology, Ecology.